The City of the Monkey God. La Ciudad Blanca, or The White City. All the names given to the lost city rumored to exist in a pristine Honduran rainforest sound mythical, but National Geographic reports that now we have evidence that the legendary city was real. This week, an expedition returned from a remote—and still secret—Honduras location where they confirmed the long-rumored existence of not just a hidden city, but a whole civilization, one that is so foreign to archaeologists that it doesn't even have a name yet. It's an incredible discovery, but before we get to the details, let's look at how long this news has been coming. What Is the City of the Monkey God? 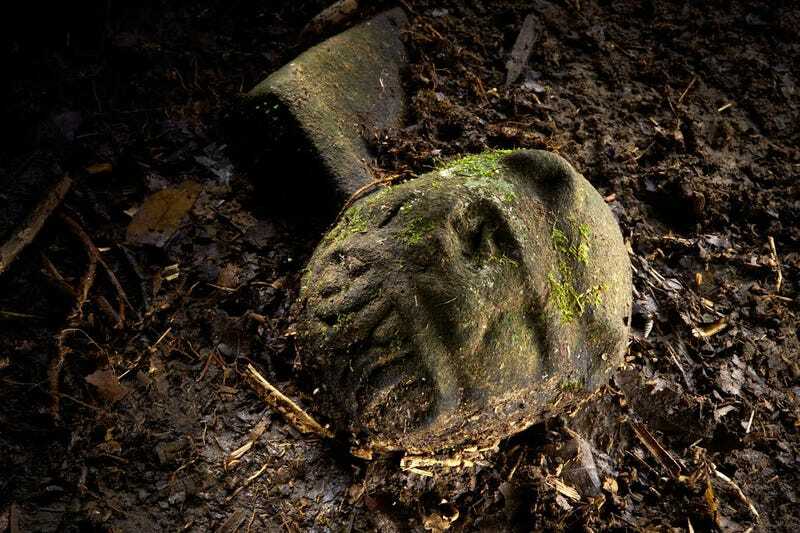 For a long time, it was just a rumor—a so-called lost city in the remote jungle of a part of Honduras called La Mosquitia, on the eastern coast of the country. The city has been sought after by explorers for hundreds of years, and was rumored to be a pre-Colombian community of considerable size and wealth dating from around 1,000 AD. The moniker "City of the Monkey God" originated from one American explorer who claimed locals called it by that name. Why Was It Never Found? For one thing, the area in question is incredibly remote. Like so much rainforest, it's inhospitable territory for explorers—especially ones who don't know what they're looking for. But the rumors and supposed sightings have continued. In 1928, on his flight over Central America, Charles Lindbergh spied an expansive stretch of white ruins—"an amazing ancient metropolis." Several years later, an anthropolist named W.D. Strong claimed that he'd found ancient artifacts scattered about the Honduran river basins and that during his six-month expedition, he had heard "many stories of stranfe archaeological ruins." Not long after, S.J. Glassmire, a mining engineer and gold prospector from New Mexico, announced that he'd found a lost city that was "five square miles" with "crumbling limestone walls." For decades, it seemed like the City of the Monkey God would remain a forever-unsubstantiated rumor. Well, technology changed. The advent of lidar—or Light Detection And Ranging—is letting archaeologists see the Earth in completely new ways. To generate a super-accurate 3D model of the Earth's surface, Lidar sends laser pulses down from a plane, cutting through the foliage and jungle sprawl that would conceal large-scale earthworks to anyone standing nearby. Earlier theories held that the rain-forest soils of Central and South America were too poor to support large populations, and that many areas could support only scattered hunter-gatherer tribes. Increasingly, it appears that the Amazon jungle once harbored sophisticated farming civilizations that cleared huge areas and built cities, towns, and networks of roads and canals. It seemed as though the lost city had finally been found—though the discovery would need to be confirmed on the ground. A lidar explanation via USGS. The most striking object emerging from the ground is the head of what Fisher speculated might be "a were-jaguar," possibly depicting a shaman in a transformed, spirit state. Alternatively, the artifact might be related to ritualized ball games that were a feature of pre-Columbian life in Mesoamerica. It was indeed an ancient city. Archaeologists, however, no longer believe in the existence of a single "lost city," or Ciudad Blanca, as described in the legends. They believe Mosquitia harbors many such "lost cities," which taken together represent something far more important—a lost civilization. Well, as National Geographic's Preston explains, the biggest issue right now is protecting the site from looters and the encroaching deforestation. Once the area is safe, the process of cataloguing and studying the ruins will begin. But in a broader sense, it's incredible that the advent of laser imaging led to the discovery of a whole lost civilization—just imagine what other lost cities and histories will emerge as lidar and other technologies emerge into regular use by archaeologists. Check out National Geographic's full article here.